A few years ago a new church opened in my town. 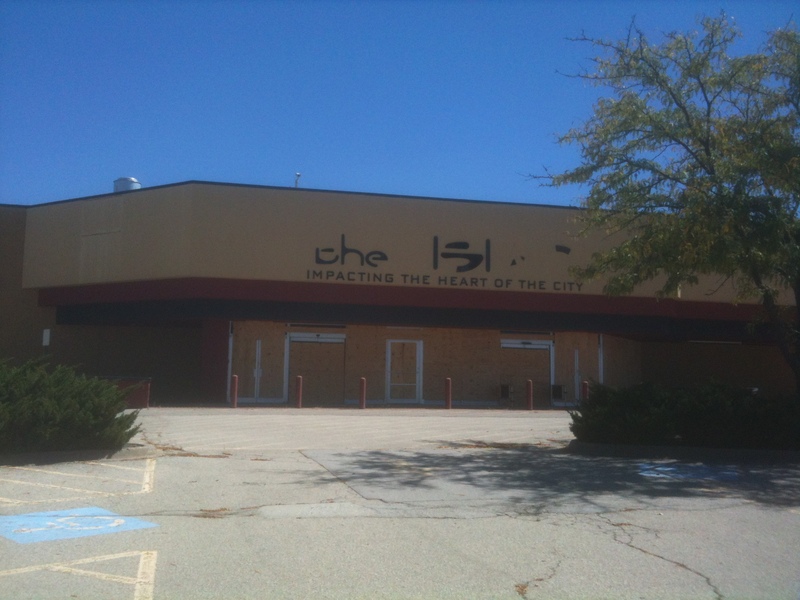 I watched with interest as they converted an empty Walmart store into a church building. They knocked a hole in one of the walls and installed a drive-through window for serving coffee. They even had a catchy label above the window, but I can’t recall the exact words they used. I think it was “Java for Jesus” or something like that. One day, as I drove by the place, I noticed a new sign had been installed by the road and I had to do a double-take. For a few seconds I thought I was looking at a sign for a new “gentlemen’s club.” Then I realized it was the sign for the new church. Well, I had to give them credit for at least trying to draw people to church. The whole thing certainly got my attention. About a year or two went by and I noticed that there didn’t seem to be as much activity. The drive-up window didn’t have a sign anymore. Today I decided to take a closer look and discovered that the building is boarded up and deserted. Apparently, the church is gone. I had not noticed it was gone because the sign is still mounted by the main road where I usually drive by. I wondered if the church just moved to another building. I looked them up online to see if they had a website. They did. The pastor even had a blog, but when I clicked on the link the blog was gone. The website was from 2009, so I assume the church just never took off and had to close their doors. Judging from their website and their sign they tried very hard to market themselves. “Church like you’ve never seen it before!” The church was “not trying to be like the church next door.” Gimmicks and marketing techniques were generously employed in an attempt to draw a crowd. The website claimed that church attendance was at 2000. It also stated a goal of reaching 12,000 with the Gospel (not sure why they would want to stop at that number). I never attended the church and I’m just an outsider looking in, but it did get me thinking. I have heard many Catholics say that the Church needs to do more to attract people, especially younger ones. Perhaps, to a point. The above church that is now boarded up seemingly did a lot of things to attract people, especially younger, “edgy” people. Now they are gone. It takes more than modern appeal, vibrant rock style entertainment and a celebrity type preacher to attract and keep people. Lots of people even followed Jesus around in hopes of seeing him do a miracle. To them it was entertainment. As soon as Jesus placed demands on them such as, “Truly, truly I say to you, unless you eat my flesh and drink my blood you have no life in you” they were gone. The worship of Catholicism is not about entertainment. Nor is it about modern appeal, hip preachers or rocking music. It is about worshiping Christ the way Christ said to worship 2000 years ago, through the Eucharist. We live in a society that cannot seem to get enough media and entertainment. Consequently, many churches feel they have to deliver what the people want instead of focusing on what the people need. People need the written Word, and they need the living Word, Christ in the Eucharist. That is how Jesus said he would feed his followers. I’m not making fun of the above church or glorying in its demise. I just wish they would use all that creativity and energy to help people discover the meal Christ has prepared for them. I wish they understood the Eucharist. I want our separated Christian brothers and sisters to come home and stop trying so hard to reinvent what Jesus has already established. The Catholic Church has nothing against glorifying God through media. The cathedrals, paintings, sculptures and music from the past centuries illustrate the importance of appealing to the senses to inspire awe and wonder for God. The difference is that no matter how grand or how small an individual Catholic Church may be, the meal is the same. The meal is what sustains the Church. It cannot be improved upon. Anyone, young or old, that is bored with the Catholic Mass simply does not understand it. The meal is Christ himself. Without the Eucharist, there would be no Church. Are you following Jesus around hoping for some entertainment? Or do you yearn for The Bread of Life? One is fleeting and the other eternal. This entry was posted in Catholicism, Christianity, Church, Eucharist, Sacraments and tagged Body of Christ, Catholic, Catholicism, Church, Denominations, Eucharist, Religion, Sacrament on September 19, 2012 by Thomas. Well said. The promise of a good time never sustains; only the Real Presence in the Blessed Sacrament does.